1. As a recent WSJ article reports, many supplement interfere with prescription drugs needed to treat cancer, depression, hypertension, and more. Our body uses various enzymes to metabolize drugs, and supplements can sometimes inhibit these enzymes so that the drugs build up in our bodies and become toxic or expedite these enzymes so that the drugs pass through without doing their job. Anyone being treated with any prescription medicine needs to alert their doctor to the supplements they are taking—70 percent of us don’t—and, if their doctor is not well informed, find one who is. This is especially so for those on chemo. A good place to start is by downloading Memorial Sloan Kettering’s About Herbs app. 2. There is no supplement that will make up for lack of sleep, exercise, hydration, and proper stress management. Period. 3. The supplement industry is basically the Wild West—poorly regulated and full of charlatans. As the NYT reported last year, the New York State attorney general’s office found 80 percent of the top store-brand herbal supplements sold at GNC, Target, Walgreens and Walmart “did not contain any of the herbs on their labels.” Testing frequently revealed “little more than cheap fillers like powdered rice, asparagus and houseplants, and in some cases substances that could be dangerous to those with allergies.” At the very least, this cautions extreme diligence when purchasing supplements. Caveat emptor. As I mentioned at the outset, I myself continue to take certain supplements despite all of this. But I do so under the supervision of a doctor who has run labs to determine what supplementation my body needs—iron and B12, for example, are problems for me—and I try to be meticulous about brands and sourcing. 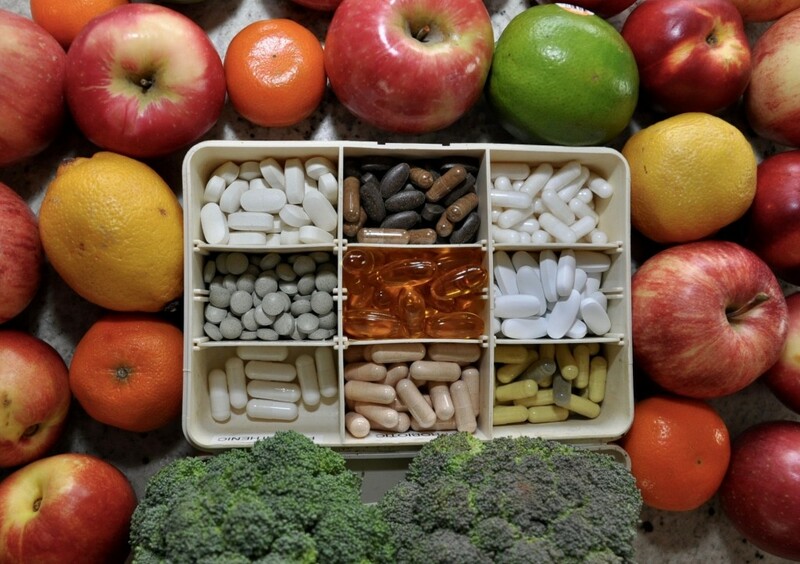 As the ancient Greek doctor Hippocrates famously stated: “Let food be thy medicine, and medicine be thy food.” It has become increasingly obvious that food is a highly complex nutrient delivery system that cannot come even close to being replicated in pill form. Want to be healthy and feel really good? Eat a diet rich in colorful produce, nuts, seeds, legumes, and intact grains, and keep your food as close to its natural, unrefined state as you can. There is no substitute for this in a pill. Fascinating post. Point #2 is illuminating. Thank you. Kelly just saved this country quite a few billion dollars if we would just pay attention and follow through. Another temptation with over supplementation is to chase every individual symptom with a separate supplement, which fails to “treat the root cause”. The hope is to be a good medical detective and discover the underlying imbalances, and address these directly (without causing side effects that then necessitate another intervention). As you said so perfectly, lack of sleep, hydration, movement deficiency and stress management (I would add nature deficiency) cannot be replaced with a pill. They are the pillars of health, and the root causes of so many of our modern ills. This is an excellent point, speaking to the importance of a holistic approach to medical care. Thanks for reminding everyone of this!